This week, astronomers from the Australian National University have discovered a strange gas giant exoplanet (planets beyond our solar system, orbiting a star other than the Sun) that should not exist. HATS-6b is a Jupiter-size planet and has the mass of Saturn, it lies at a distance of 500 light-years away from Earth and orbits its host star very closely ~ every 3.3 days (Mercury, which is the closest planet to the Sun, takes 88 days to orbit it). Exoplanet’ parent star is HATS-6, classed as an M dwarf — one of the most abundant classes of star in our galaxy — is located about 500 light-years away, a small cool star. The researchers of the latest study, published in the Astronomical Journal, can’t explain the planet’s existence and how could a gas giant came to be so close to a tiny star. This new discovery challenges theories about how planets are formed. 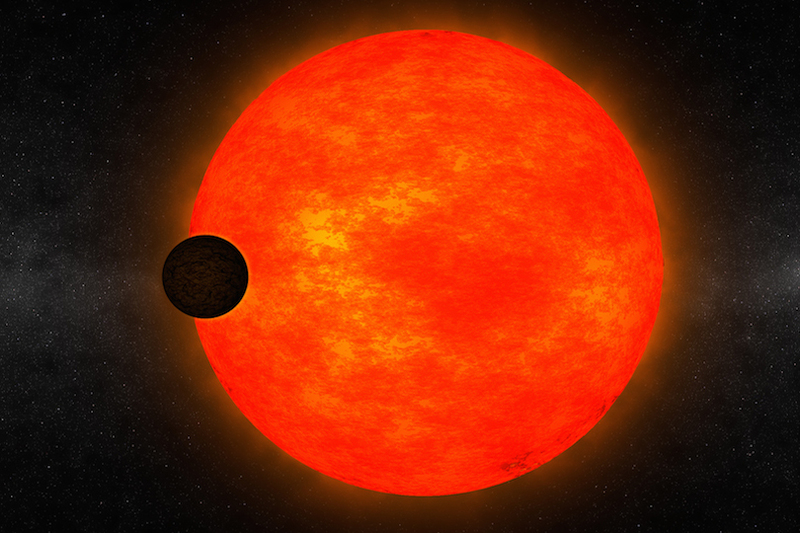 We have found a small star, with a giant planet the size of Jupiter, orbiting very closely. Said George Zhou, co-author of the paper. It must have formed further out and migrated in, but our theories can’t explain how this happened. Zhou and his colleagues used Magellan Telescope — one of the world’s biggest telescopes — to confirm the transit signal (every time when a planet pass in front of it host star the light we see drops — transiting exoplanets). The planet has a similar mass to Saturn, but its radius is similar to Jupiter, so it’s quite a puffed up planet. Because its host star is so cool, it’s not heating the planet up so much. It’s very different from the planets we have observed so far. The atmosphere of this planet will be an interesting target for future study.